“ We are a small family business established over 50 years ago in 1961 by Mr K B Turner, with his son Paul Turner taking over the business in 1998. We specialise in retail with a shop at our Bakery in Nether Edge and with Stalls 15 and the Cake Company, Stall 128 Castle Market. 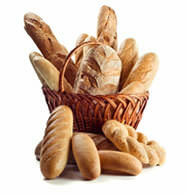 We also supply bread and breadcakes made fresh that morning to local shops, sandwich shops, pubs, restaurants, Cafes, Caterers, Fish and Chip shops and take-aways. We deliver to S1, S6, S7, S10, S11 and S17 and other selected areas. All large orders are available to pick up on a cash and carry basis.